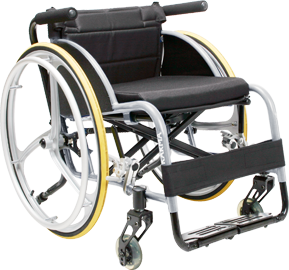 Anglia Healthcare and Mobility is a Huntingdon based supplier of high quality mobility products. We supply scooters, manual, powered & customised wheelchairs. Rise and recline chairs. reclining beds, walking aids, daily living aids, footwear, bath lifts, stairlifts, hoists, vertical lifts, platform lifts and ramps. Anglia Healthcare and Mobility is a family run business with over 20 years of experience in the healthcare industry. From the feedback of our clients we recognised the need of a "Mobility Assessment Centre" central to Cambridgeshire. We decided to form Anglia Healthcare & Mobility to provide this facility to our private and local authority clients. We are delighted to have our purpose built showroom in our new 6000 sq. ft. premises. Due to the success of our Huntingdon showroom we have recently opened a new showroom in the heart of Leicester. You can visit either of our showrooms to try our products before you make your purchase. Our experienced staff can provide you with free mobility assessments, free home surveys, demonstrations and delivery. We can also provide you with professional, Occupational Therapy assessment with appointments. Our prices are very competitive and backed up with a high quality of service and products. We also offer repair and servicing of all products we supply and you can take an online tour of our showrooms before you visit by clicking here. Our supply partners are Sunrise Medical, Drive DeVilbiss Healthcare, Able 2, ROMA Medical, SupaScoota, Karma Mobility, Z-Tec Mobility, Performance Health, Sherborne Upholstery, Rise and Recline, Cosyfeet, Topro, Uniscan, TGA Mobility, Invacare, Pride Mobility, Monarch Mobility, Apex Medical Ltd, ThyssenKrupp, Access BDD, Platinum Stairlifts, Brooks Stairlifts and Handicare. Please visit us and our friendly experienced staff will provide you with professional caring service.